Constantine’s poetic landscape is populated with English and Welsh localities, moving occasionally to the Aegean Sea and southern France, all the while offering a prominent love of the sea, expressive retellings of Ovid’s Metamorphoses, translations of Friedrich Hölderlin, and more contemplative ruminations on countryside scenes, sculptures, and the sky. In his Ovidian poems, such as ‘Baucis and Philemon’, the famous story of the two lovers turned into trees, his meditations conclude with lines as moving as ‘For all we know beneath / The concrete there’s a seed of them one day the fires will wake.’ This conflation of ancient story and modern life is representative of the ways in which Constantine marries his thematic preoccupations – he is continually looking for the past in the present. In translating, and completing, seven of Hölderlin’s poetic fragments, he acknowledges that ‘they reach out from the borders of his alienation for future readers to continue them.’ A piece of writing is not a self-contained vehicle of meaning; he maintains that expression is eternal. Constantine equally draws contrast between nature and artifice, beauty and austerity, reality and the supernatural, in his title poem. Elder trees are known in folklore as repellents of evil spirits, while yielding both flowers and fruit that can be used for medicinal purposes. He actively engages with ‘Elder that is kith and kin with eldritch’, and writes of the nourishment reaped from its harvest. There is a duality at work within this poem that sets the pace for the rest of the collection and its use of metaphor through myth. 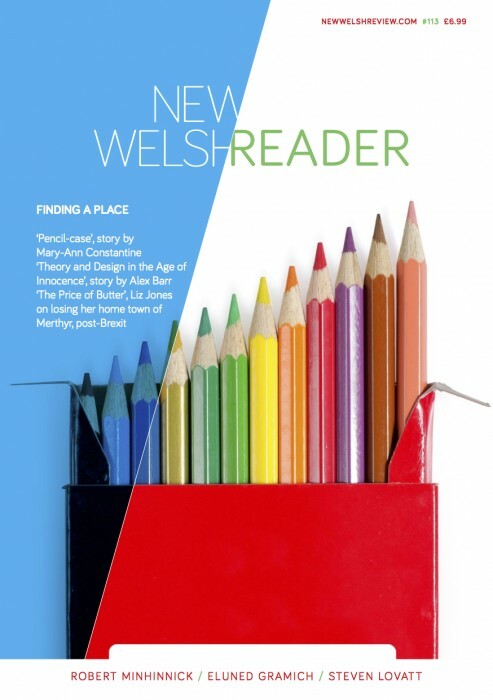 Éadaoín Lynch is a contributor to New Welsh Review online.